Biometra TOne | Tamar Laboratory Supplies LTD.
Fast Ramping: Thanks to the new electronics, the Biometra TOne can reach high heating and cooling rates of up to 4 °C/sec. 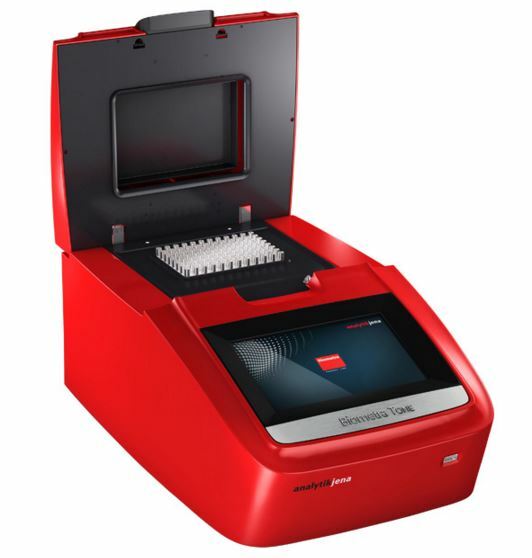 Block Control: The Biometra TOne controls the sample block temperature without under- or overshooting the programmed target temperature. This reflects our philosophy that the instrument does exactly what the user has programmed it to do. The ingenious temperature control system incorporated into our RAC (Ramping – Accuracy – Control) technology maximizes experimental reproducibility and achieves outstanding temperature control accuracy. from coming into contact with either the peltier elements located below the sample block or with other electronic components. The seal protects the peltier elements and extends the lifetime of the instrument. Whisper Quiet: The airflow of the Biometra TOne thermal cycler has been optimized to keep the maximum noise level of the instrument down to extremely low 45 decibels. This efficient airflow system also means that the Biometra TOne takes up very little space. At 26 x 43 centimeters, the dimensions of the unit would appear to be average at first glance – its effective footprint, however, also has to include the clearance zone needed to accommodate sufficient airflow at the back of the instrument. The efficient airflow of the Biometra TOne keeps this additional space requirement down to just ten centimeters – much lower than that of other thermal cyclers. 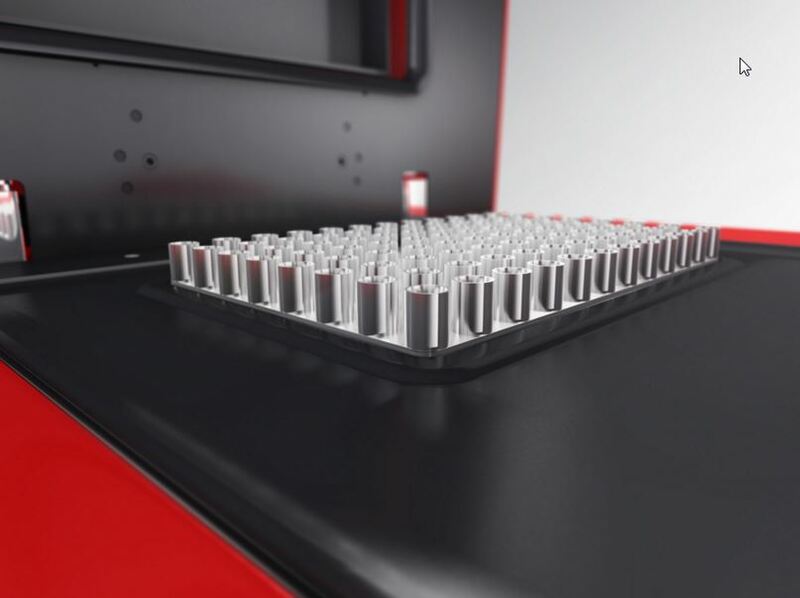 A combination of low noise and a minimal footprint, Whisper Quiet technology is the result of 25 years of thermal cycler development experience. High-Performance Smart Lid (HPSL): The heated lid of the Biometra TOne is equipped with HPSL technology. An integrated slip clutch always maintains constant contact pressure, regardless of the shape and height of the plastic ware. This optimizes the contact between the sample block well and the walls of the plastic ware, resulting in reproducible conditions. As soon as the heated lid is closed, a rubber seal on the lid encapsulates the space surrounding the sample block. This closed space increases the sample block temperature uniformity and prevents condensation formation during the final PCR cooling step. 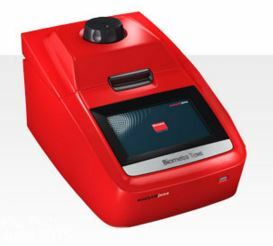 Automatic lid-opening mechanism: The Biometra TOne comes with an one-touch opening mechanism – just press the locking mechanism, and the heated lid opens. A spring mechanism holds the lid in the open position, preventing it from dropping down. The locking mechanism automatically engages when the operator closes the lid. 1. The automatically resulting temperatures for the other rows of the sample blocks, in particular in its center, are almost always odd-numbered. 2. The temperature differences between the rows are unevenly distributed, increasing towards the center of the sample block. The Linear Gradient Tool (LGT) enables programming of a temperature gradient with defined temperature intervals (increment) between the individual rows of the sample block. It allows the user to enter the calculated Tm value minus, e.g., 5 °C and the desired temperature increment (e.g. ± 1 °C) between the rows of the sample block. For maximum comfort, the Linear Gradient Tool now supports programming of even-numbered temperature values for a maximum´number of rows. The Biometra TOne software offers a number of preinstalled program templates for different applications. The program templates provide a general protocol structure and can be easily adapted for the current experiment. Editing a template or setup of new protocols is quite simple due to the multi-step programming feature, which allows users to enter all of the parameters for every program step within a single screen. Thus the multi-step programming renders constantly switching back and forth between different screens unnecessary and enables to change easily from step to step.